Alabama ended last season allowing teams to score early and often against them. So mission number one this season is to bring back that shutdown defense. Alabama’s last three games were nightmares for Nick Saban. Though Saban is trying to wrap his arms around having a high scoring offense, he’d still rather win a game 17-3 than 52-41. Alabama’s last four games of the season saw a team that had averaged giving up just 14 points a game go from bad to worse. 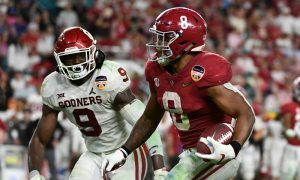 They gave up 21 points against Auburn, 28 to Georgia, 34 to Oklahoma and then 44 in the loss to Clemson. 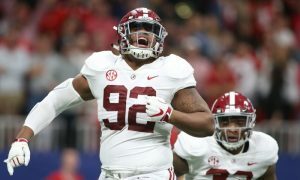 Whether it was the grind of a long season taking it’s toll, facing better quality teams or whatever, the facts are there that in the end of the season, Alabama’s defense lacked the BAM that it had enjoyed for much of the early part of the season and fixing that is mission one this spring. There were times when team’s in those last three games ripped off big runs, got big passing plays, caused the defense to seem confused and simply blow coverages. There were also a lot of stupid penalties the defense committed that kept drives alive when they should have gotten off the field and not given up points. 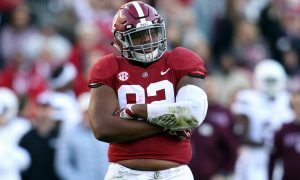 To make matters worse, that was with a first round nose guard, Quinnen Williams and a cast of other defensive starters that included Mack Wilson, Deionte Thompson and Saivion Smith. It’s really going to be an uphill battle just to replace what they had, then to make improvements may seem an even bigger problem. 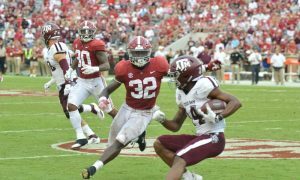 But Saban is happy with the depth, albeit not the experience of a lot of the new replacements. Nose tackle has at least two candidates that are showing great promise and in today’s A Day game, that will be a position to watch. D.J. Dale, a freshman has been getting some looks with the first team at that critical spot and has been drawing some good comments from both coaches and players, that will be something to watch for in today’s televised scrimmage. It will also be worth watching Phidarian Mathis to see if he can hold on to that spot with Dale improving. Another young face to watch, even though he won’t be allowed to tee off on the quarterbacks in this controlled scrimmage, is LaBryan Ray at end, who could wind up being a multiyear starter. 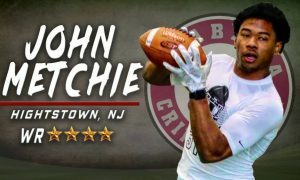 And since we know Alabama has a lot of talented quarterbacks, (don’t forget how Mack Jones almost stole the show last spring game), it will be worth watching if the defensive backs get torched today while running mostly man to man coverage against a very talented set of young receivers. Will Jared Mayden step in and carry the load as a starter this season at safety? 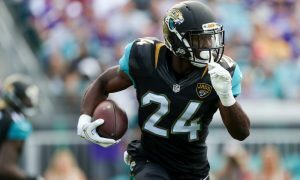 Will Diggs recovery be complete as he starts at corner? That will be with watching. 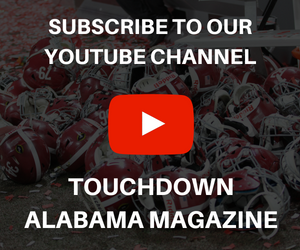 But to me, the old guy covering football for Alabama, the key to a great defense is a great leader and while Alabama had great players last year, even Saban himself has said that great leaders were lacking on defense. 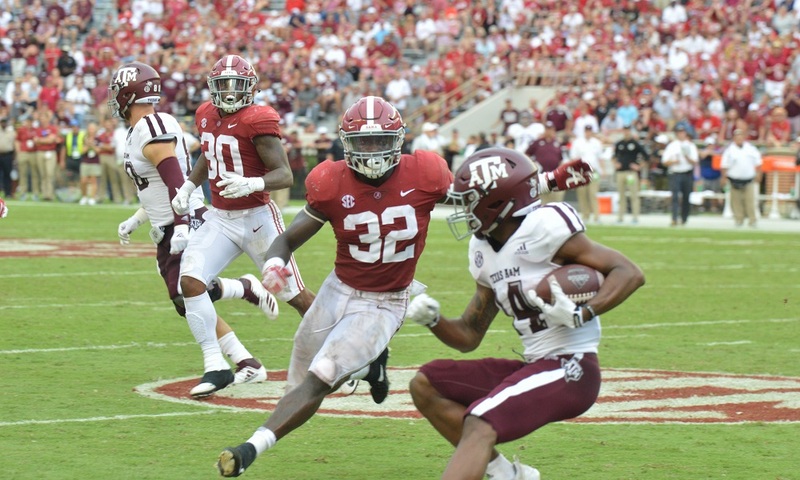 In that role, watch Dylan Moses will be the vocal and leader up front for the Tide’s defense this season and it will be interesting to watch him today and see how comfortable he is in that role. For the Bama defense to have that BAM it needs, Moses must the field general Saban hopes he will become. 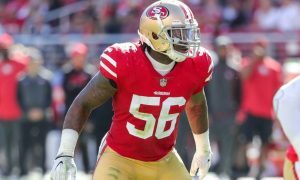 As the season moves on, having Moses move the chess pieces as he sees fit and inspiring the defense with both his play and his command of the leadership role could be the biggest key. 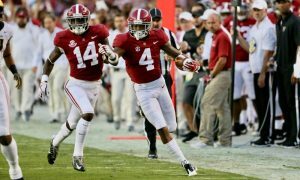 Saban has already hinted that last season the chemistry just wasn’t right with the coaches or the players when it came to leadership and that this season he feels the right people are in place to see that happen. That’s what we should look for.